I like the texture in this image. What would it look like by taking the image from a very low perspective? Would there have been too many trees and other distractions? 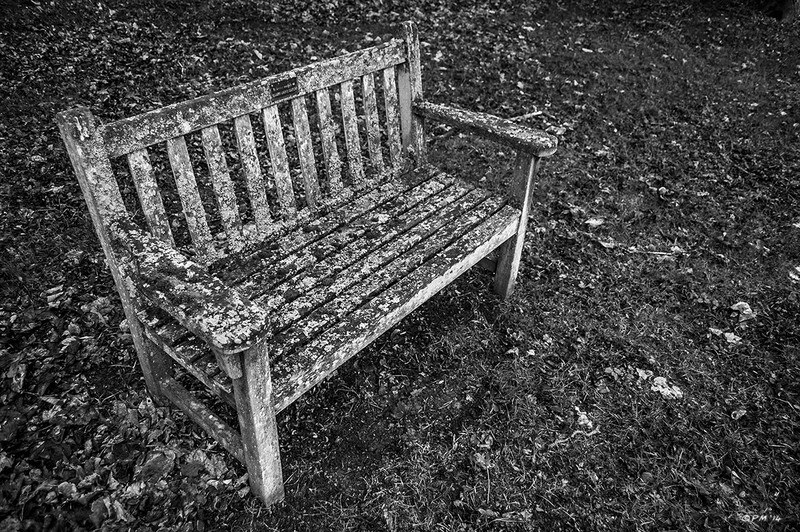 I do have such an image with one arm of the bench in focus, I went with this one for now but take another look at the other.